This version of vegetarian adobo is using asian watercress cooked in Mama Sita's Oyster sauce and garlic. Cut kangkong 2 inches from the bottom leaf. 1. Heat cooking oil and saute Kangkong stalks. 2. Add Mama Sita's Garlic Oyster Sauce. 3. 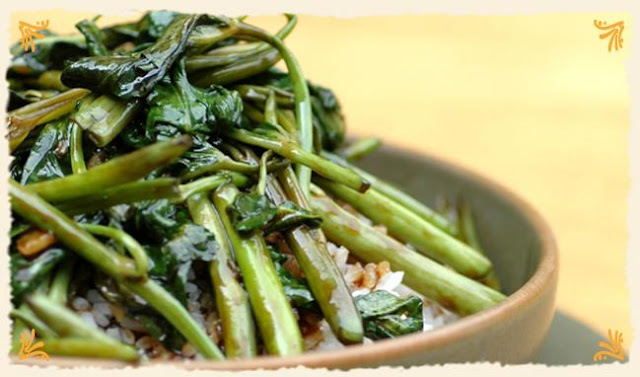 When the kangkong stalks are cooked, add the kangkong leaves and cook for another 1-2 minutes. 4. Remove from heat and serve over hot rice.